Consider the loose circular structures that organize Mann’s new series Oculus. The circle, an image of history, decrees the natural dynamism and circularity of living life. Mann infuses this form of life with bright reds, blues and yellows equally suggestive of the eyes implied by the title, the sun and the constellation of the planets, as well as abstract thought processes. Yet and still, these are vehemently proud abstract paintings in the realm of Rothko, De Kooning, and Marden. 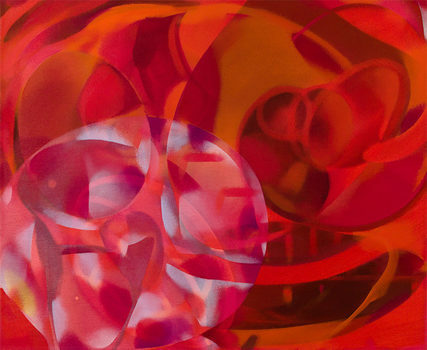 Mann’s work holds its own in this company with his unique brand of drawing with color to convey voluminous light and deployment of forms that provoke a multitude of valid associations. The repetition of circles in Mann’s process and the material engagement with paint applied to canvas has become a poetic language occupying the energy of life made visible. 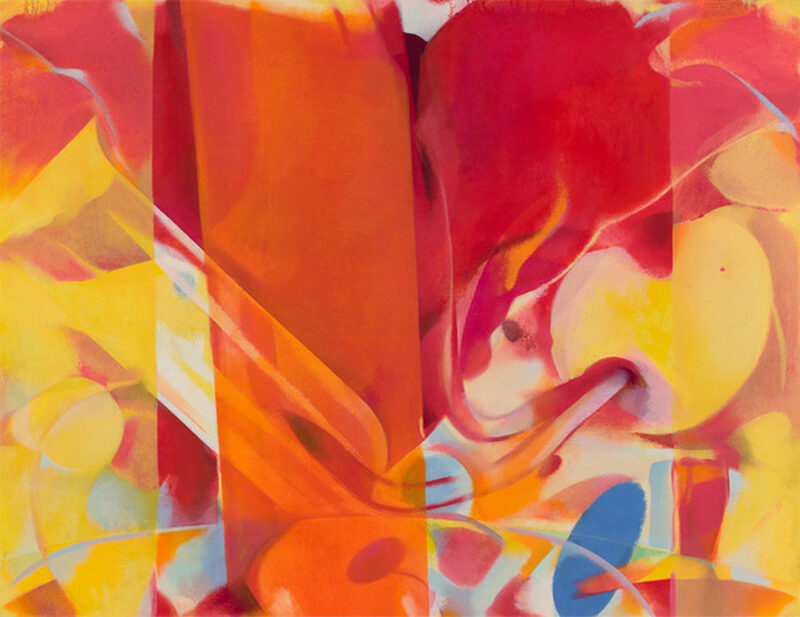 His paintings are the structural signs of energy, and in that mode, they work as gorgeous signs of drama played out by color and shape evocative of art’s vast and revelatory power for the possibility of transcendental experience. As Mark Rothko once said, “I do not believe that there was ever a question of being abstract or representational. It is really a matter of ending this silence and solitude, of breathing and stretching one’s arms again.” Mann’s paintings do just that. Frank Mann is an American artist who has exhibited on five continents. His work was the subject of one-person shows in New York, London, Amsterdam, Paris, Barcelona, and Berlin. Mann is listed in 2,000 Outstanding Artists and Designers of the Twentieth Century (2001), The Biographical Encyclopedia of American Painters, Sculptors, and Engravers (2003), The International Dictionary of Artists (2010), Internationale Kunst Heute (International Art Today) 2015, and Who's Who in the World, 33rd ed. (2016). Numerous public and private collections have acquired Mann’s work, including the Guggenheim Museum and the Museum of Modern Art, both in New York; The Museum of Modern Art, Buenos Aires, Argentina; and the Museum of Contemporary Art, Nice, France. An installation of his paintings was exhibited at La Chappelle des Salelles, St. Maurice D'Ibie (Ardeche), France, as part of the International Festival D'Art Contemporain. He recently participated in the exhibition, Italia Docet Laboratorium at the Palazzo Barbarigo Minotto, San Marco, Venice, a Collateral Event of the 56th Venice Biennale. He lives and works in New York.